Beta 2 microglobulin (B2-m) is a low molecular weight protein of 11,800 daltons and contains 100 amino acids. It was originally isolated from human urine and has been found in all body fluids (1–3). B2-m shows a homology with CH3 domain of immunoglobulin molecules and is associated with class I major histocompatibility complex molecules. B2-m is present on the surface of and synthesized by virtually all somatic cells. In vitro, both normal and malignant human cell lines and activated normal lymphocytes synthesize B2-m (4, 5). B2-m has been shown to play a role in T cell response to mitogens, soluble antigens and alloantigens (6–12). 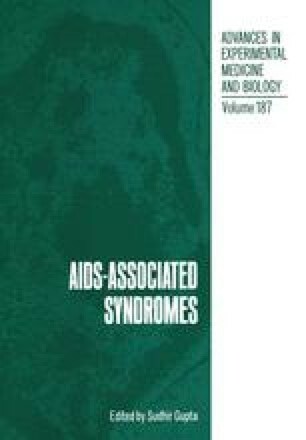 Acquired immune deficiency syndrome (AIDS) is characterized by several defects of T cell functions and clinically manifested by opportunistic infections and/or Kaposi’s sarcoma (KS) (13–16). Recently, increased plasma levels of B2-m in patients with AIDS and hemophilia have been described (17–19). In this study we have examined the expression of surface B2-m on the mononuclear cells (MNC) from patients with AIDS and AIDS-related complex (ARC), using a monoclonal antibody and fluorescence- activated cell sorter analyzer (20).